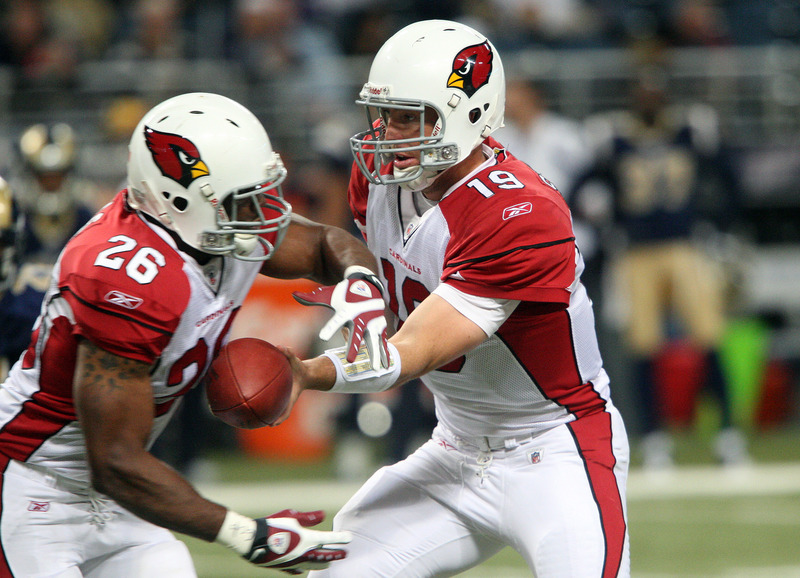 Patrick Peterson returned his second punt for a touchdown against the Rams and Beanie Wells set a Cardinals franchise record with with 228 yards rushing on 27 carries, including gains of 71 and 53 yards as Arizona beat the Rams 23-20 Sunday at the Edward Jones Dome. Wells’ 53 yard run set up Jay Feely’s 22 yard field goal with less than five minutes to go to give Arizona the win. “I knew the team needed me — I was the one who put us in that situation in the first place when I lost the ball,” Wells said. On the possession before, his fumble led to a Rams touchdown by Brandon Lloyd from Sam Bradford that tied the game up at 20-20. The Rams are the worst team in the NFL against the run, having given up a franchise record of 253 yards to the Cowboys’ DeMarco Murray, three weeks ago. Nick Miller had an 88-yard punt return for a touchdown in the first quarter for the Rams only three days after he re-signed with the team. Peterson was untouched on an 80-yard return in the third quarter, putting Arizona up 20-10.